We've received so many fun Christmas cards these past few weeks from friends and family and there's a part of me that wishes we sent out cards too. Verner and I have only been together for 2 1/2 years, we aren't engaged, we aren't married, nor do we have children. Heck, we don't even have a dog (if we DID, I might be compelled). Soooo....... I just couldn't bring myself to do it. I couldn't! It doesn't make sense. I mean, it's been one heck of a year, right? Hope you have a wonderful holiday with loved ones. Tomorrow morning we are taking off for San Diego! We've decided to drive down the coast and make a little (10 hour) road trip of it. I plan on taking lots of wonderful pictures along the way. Are we Insty friends yet? No? Well let's be, yo! 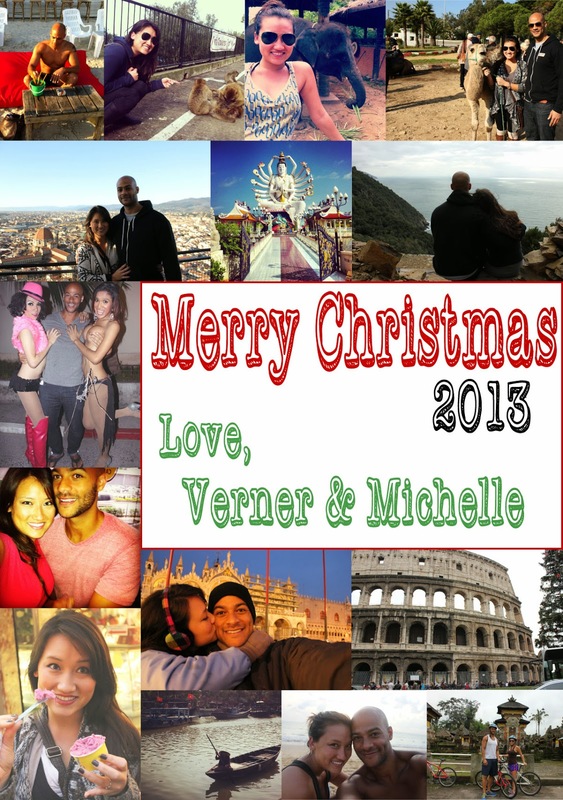 I'm married with kids and didn't send off Christmas cards. Heck, didn't even put up a tree this year (we're visiting relatives for Christmas, and THEY'LL have a tree). Some years are just like that. I like this! My family didn't do cards either, we just ran out of time! I rarely send cards anymore, mainly only to people who send me one from out of state. I feel like some people don;t appreciate them like they did back in the days before the internet world. But any hoots have fun on your road trip! I don't know very many people who still do Christmas cards. At least not people who I'm close to, hahaha. I don't really see the point. Why not just get them a gift if you're going to send them something? The (virtual) card looks great ;) I totally know how you feel about it being the 'right time' to send Christmas cards... I used to send some with legit letters inside to those I really wanted to be in touch with, but the family-style annual update Christmas card.. that's a whole different kind of thing! Regardless, the photos are cute and you both look so happy! Merry Christmas! We didn't send out Christmas cards this year either, we kept putting it off and putting it off then it got to late ha ha. Your Christmas card would have been super awesome though! So many fun pictures!